Here you’ll find a variety of last minute Christmas gifts and gift-giving ideas, as well as savvy tips for shopping online. Shopping on the internet for your holiday gifts can save you time and money. Need a same day gift? Worried about shipping limitations? Electronic gift cards can be sent via e-mail within moments of completing the purchase transaction. Avoid the Crowds – You avoid hunting for a parking space, and the hassle of waiting in long lines. Take Advantage of Spectacular Sales – Online stores have the same sales you will find in a brick and mortar store. Most coupons can be used both online as well as in the physical store. Free Shipping and Gift Wrapping – Many businesses offer free expedited shipping. Take advantage of any free gift wrapping offers to save time. Unlimited Choices and Unique Options – Looking for that perfect Christmas gift idea? The internet has opened up unlimited possibilities for gift giving. Take advantage of the unique options and find the perfect gifts for friends and family. 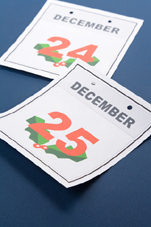 Ability to Ship Direct – Avoid the hassle of packing and shipping your own Christmas presents. Ship your gifts directly to family and friends. Easy Access to Product Reviews and Price Comparisons – Take advantage of access to online product reviews and compare prices. You might be pleasantly surprised when a less expensive item has a better reputation and is known for being better quality than its name brand counterpart. Online Stores are Open 24/7 – You can do your shopping any time of day or night. Electronic Gift Cards – Need to send a last minute gift on Christmas Day? Electronic gift cards are the perfect solution. The electronic gift card is sent via e-mail within moments of completing the purchase transaction.